Lately I have turned to making my own overnight oats as a quick, yet healthy breakfast option that I can just throw in my lunch bag on my way to the train in the morning. My first few attempts were pretty bland and, frankly, not all that good. In search of something a bit more palatable, I turned to my all-time favorite flavor combination: peanut butter and chocolate. 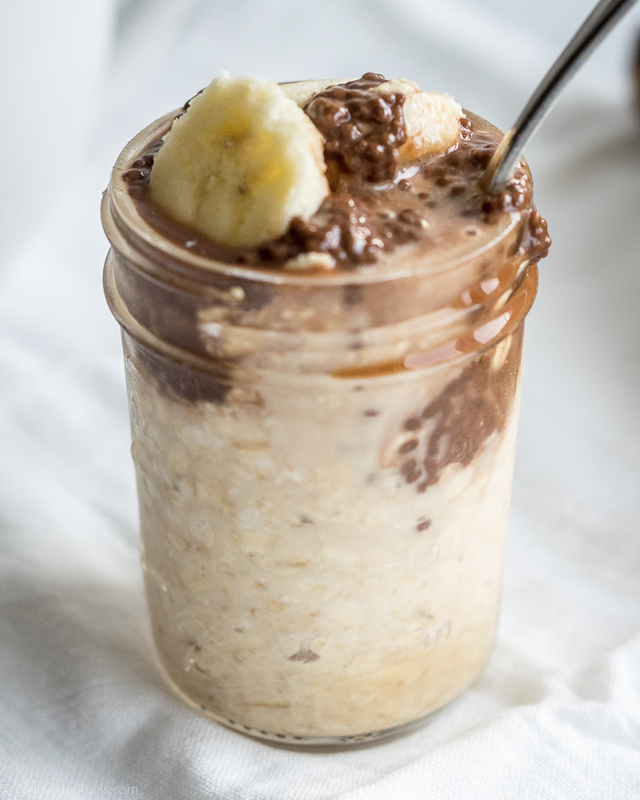 When I make these peanut butter chocolate overnight oats, I actually make a big batch and portion it out into 4 jars so I have breakfast for most of the week. I start with the peanut butter oatmeal. I mix together old fashioned rolled oats (not quick/instant oats), milk (I use whatever nutmilk I have on hand), honey, and peanut butter powder. Next is the chocolate chia seed pudding. For this, I mix together chia seeds, milk, coco powder, and stevia or honey. Both the oats and the chia seed pudding need to sit overnight so that all the moisture is absorbed. What I am left with is thick and creamy peanut butter oat meal and rich and chocolatey chia seed pudding. Then I spoon about a quarter of each into a small jar and keep them in the fridge until they are ready to be eaten. I don't know about you, but I am in a frenzy running out the door to work in the morning. 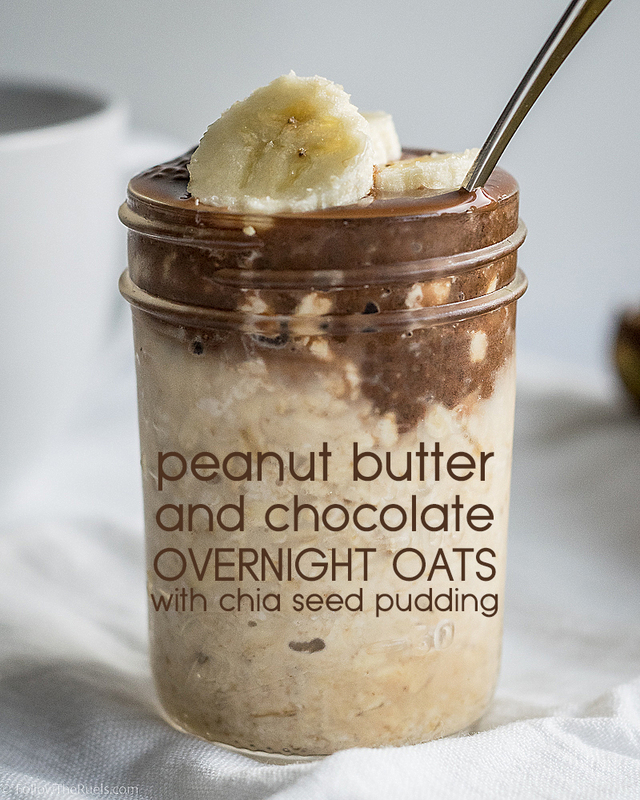 Which is why I love these peanut butter chocolate overnight oats. They keep in the fridge all week. They are a mix of complex carbs and healthy fats that keep me full until lunch. And not to mention, they are delicious! And for those weeks when I am trying to be extra healthy, I add protein powder to the oats which really makes them a complete breakfast. I will definitely be experimenting with more flavors of overnight oats. They have quickly become my favorite week day breakfast. In a large bowl, mix together all the peanut butter overnight oat ingredients. Cover with plastic wrap and place in fridge overnight. In a separate bowl, mix together all the chocolate chia pudding ingredients. Cover with plastic wrap and place in fridge overnight. The next day, spoon a quarter of each of the oats and the pudding into a bowl or jar.